The continuous stream of essays, articles and other publications plus the permanent news coverage about upcoming Brexit suggests that this is truly an event of unsurpassed magnitude for both the EU and the UK. Sometimes it looks like there is at least modest progress, but often enough this is being followed upon by an immediate setback. As problematic, bureaucratic and annoying the implications on workers and their families from EU countries – and vice versa – might be, the consequences for the economies and therefore for any company will be far greater. In the past couple of months, there has been a steady exodus of highly-paid jobs in the finance industry from London to Paris, Frankfurt, Dublin, Amsterdam and other European cities but this has mainly been a process driven by large corporations. Small and medium-sized businesses (SMBs), however, have largely remained passive rather than taking active measures. The result of this passivity could be devastating. Many mid-sized companies have either chosen to ignore upcoming Brexit or decided that there will be a “Soft Brexit” which would still enable the British economy to participate in the single market or – even more daring – that the Brexit will never happen and an “Exit from the Brexit” would render any escape scenarios or “Plan B’s” useless. Not looking at the harsh reality as it starts to unfold in front of our very eyes is not only risky, for companies it means to possibly lose market share, deal with higher cost and added complexity as well as having to deal with a more bureaucratic process when doing business with the EU. The vast majority of SMBs in the UK export to the EU, and this is unlikely to change because selling to more distant markets is even more challenging for SMBs. According to the findings of a survey commissioned by the foreign exchange and payments business, OFX, SMBs from the UK are embracing Brexit as an opportunity at first, but when one digs deeper a more frightening truth emerges. The UK domestic market has weakened. According to the Quarterly Inflation Report (August 2017) published by the Bank of England the spending power of the UK’s consumers is deteriorating. In the face of Brexit’s uncertainty, employers are continuing to hold wages down and freeze investments. As a result, consumer spending is under further pressure which led the Bank of England to cut its growth forecast for 2017. 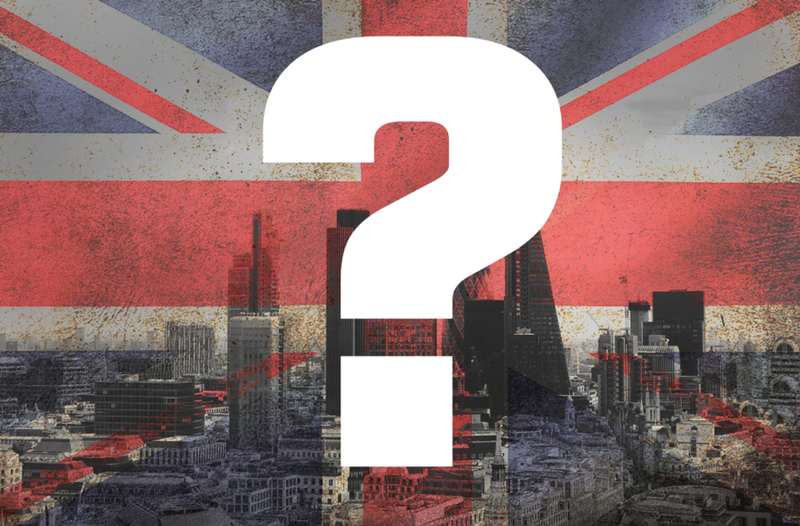 Should UK SMBs focus on New Markets rather than the European Union? Many British SMBs have initially seen Brexit as an opportunity rather than as a threat and started to investigate overseas markets. In fact, as entrepreneurs tend to be optimistic about their own businesses, many British SMBs believe a break with the EU will leave their company better off or will have no impact altogether. Interestingly enough, the same SMBs are not at all optimistic when it comes to the future of the British economy as a whole – only 37 % see an improvement happening and less than half think the current British government around Prime Minister May has their interests at heart. Now although a weakening British Pound against a strengthened Euro (but the British Pound is also getting stronger against the US Dollar) helps the export-oriented industry, one key threat remains: according to the Office for National Statistics a whopping 44 % of Britain’s exports go to the EU – £220 bn. out of £510 bn. Recent analysis estimates the additional cost to Britain’s exports at £4 – £6 bn. per year – in the best case as different market standards and regulations have not been priced in yet. Ma(n)y might hope for a last-minute free trade agreement but as the recent EU-Canada trade deal took 7 years to agree – a speedy agreement does not look all that realistic. Over the past 40 years, most companies have designed and implemented integrated supply chains based on rules which have been relatively clear and stable for decades. Those rules are – after Brexit – obsolete and need to be re-negotiated and re-established. A large part of the challenge actually lies in intermediate products. There is, for example, no British automotive industry and no British textile industry, but a European automotive industry and a European textile industry. Metals, camshafts, yarns and chemicals used for the textile industry, machinery, technical textiles, timing belts and so on are being used to either make intermediate products or finished and customer-ready products which are in return being sold in the UK, in the European Union or globally. SMBs are facing a particular threat – they usually lack the financial firepower to simply redesign their existing supplier ecosystem. Also, in many cases, replacing a supplier who delivered high-quality products with a new one due to customs- or trade-related reasons could mean also endangering the quality of the finished product. The consultancy company Bain & Co. has warned already 10 months ago that disruptions to supply chains could cut the profits of companies from British key industries by as much as 30 %. The UK has been one of the most innovative countries in terms of the speed E-Commerce has introduced. According to a report by “the Global Retail E-mpire” the UK is far ahead in the penetration and internationalization of E-Commerce compared to countries such as Germany or France. Britain has, simply, been one of the leaders in online innovation and when the domestic retail market has stagnated, E-Commerce sales have grown steadily between 10 to 20 % per year. Fashion giants like Topshop have successfully transformed their cutting-edge approach to fashion into the online world and new players like Asos or Missguided have once again cemented the UK’s reputation for fast-forward thinking in online innovation whereas UK-based incubators continue to pump new start-ups into the market. But as much of the revenue comes from sales to customers based in the European Union this success is likely to come to a halt. As many emerging markets such as Russia, Brazil and increasingly China started to contract or already shrunk due to economic or political reasons, access to the European Union’s single market is crucial for the long-term success of British online retail, not only because of providing quick access to its vast market of more than a half a billion people but also because many sought-after highly talented employees can be sourced easily. Many large corporations have done this already or are planning to do so. Setting up your own distribution centre in a EU country enables you to control all processes, guidelines and simply speaking – puts you in control. The downside is a very high cost, potentially long development time frame and the need to build all the necessary skills yourself including a local and trustworthy management. Finding like minded companies of a similar size or industry helps to reduce both cost and the need to invest in specialized skills while enabling SMBs to benefit from combined knowledge. On the other hand, reaching agreements on a joint strategy is not always easy. Over the past couple of years an advancement of both technology and logistics have led to the creation of what is commonly known as “XaaS” or “Everything as a Service”. XaaS platforms enable SMBs to grow modular and flexible whilst benefitting from professional skills. “XaaS”-modules such as “Operations-as-a-Service” can be a great way for British SMBs to do business in the EU without having to invest large sums of money but as they are more demanding in the way processes interlock they require a certain amount of preparation. Brexit offers a handful of potential advantages to British SMBs such as faster access to global markets minus the “burden” of having to follow EU regulations. Many of these potential advantages could be nothing more than just wishful thinking as the difficulties in negotiating beneficial trade deals in the past months have already shown. Joining forces with like minded SMBs could be an interesting option for some whereas talking to providers of logistics and distribution platforms might be an option to consider for companies who have already well-structured and documented processes which simplifies the integration of third-party services. Running your own shop in the EU is the most costly but also the most flexible option. Currently, the EU signed trade agreements with 57 countries – agreements which took years to prepare, negotiate and implement – a task which is monumental, in particularly considering the tight schedule. As the UK will have to negotiate dozens of trade agreements with different countries this means automatically doing business under standard WTO-agreements. As the UK government continues to fail in convincing the voters in the UK about truly mastering the strategic challenge the UK is facing, British SMBs should analyse the situation carefully and look for independent advice which focuses on the economic reality rather than political or cultural bias.